Natural supplements for joint and muscular pain - ESI S.p.A. Joints are anatomical structures that connect bones and participate in motor functions. Inflammation and joint pain are usually due to cartilage wear and it affects both men and women all year long. These kinds of problems reduces a person’s ability to move and causes localized pain and discomfort. 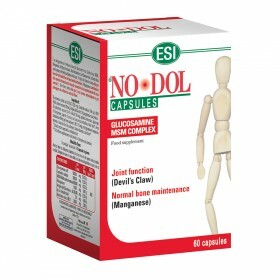 Nature provides valuable remedies that help promote flexibility and joint mobility, such as the Devil's Claw which can be found in our line of NoDol products. 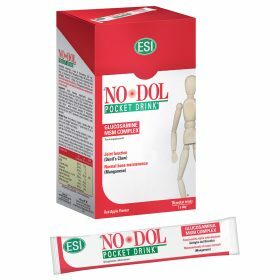 NoDol also contains glucosamine and chondroitin, which are natural components of that are found in cartilage. 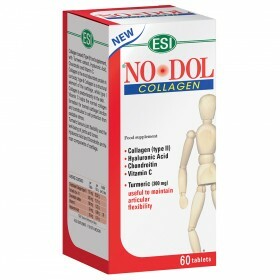 ESI's Linea of NoDol products is a valuable aid for joint and muscle disorders . It is available in: capsules, patches, or in pocket drinks. We also offer Coral Calcium Max for bone issues. It’s a supplement that provides all of the nutrients essential to bone health.